Another cause of heavy menstrual bleeding is uterine fibroids which are benign growths within the wall of the uterus. By increasing the size of the uterus and the endometrial lining in particular, they can cause heavy bleeding during menstruation. Fibroids can be found at any time during a woman’s life but are more common beyond 40 years. The growths vary in number and size and often grow in response to high oestrogen levels such as taking the oral contraceptive pill. They may reach the size of an orange, grapefruit or a football, at which time they may cause pressure symptoms on the bladder and even lower abdominal pain or backache. Treatment is often conservative during the reproductive years and can include medical or surgical treatment with removal of only the fibroids (myomectomy). In perimenopausal women or those who have completed their family, the surgical option of hysterectomy may be considered. 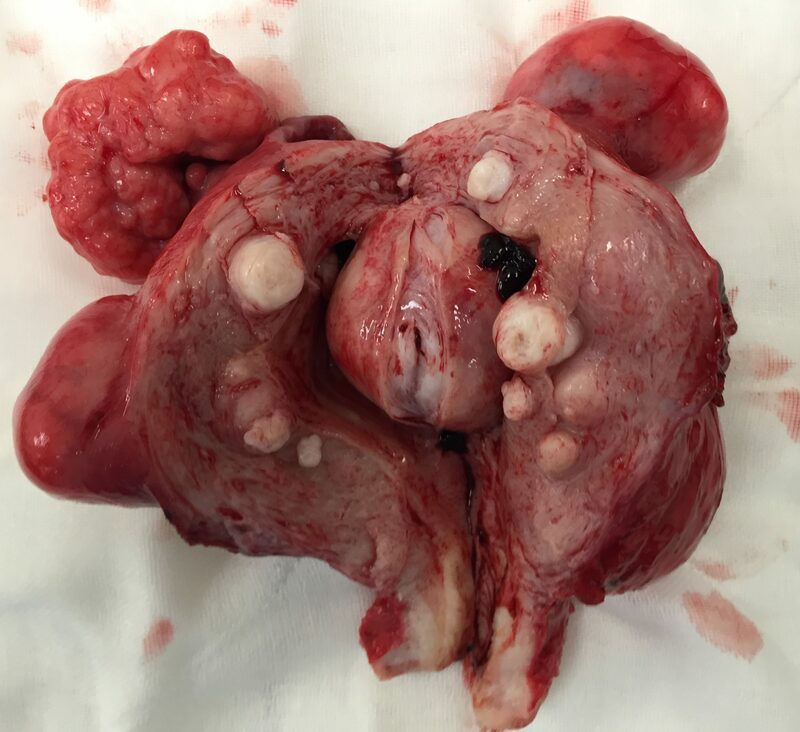 Fibroids are benign growths in 99.9% of case but do have the potential for malignant transformation so that any fibroids which appear to be enlarging over a period of time should be removed and sent for histological examination. cavity causing heavy menstrual bleeding.